Weizens are not a style I would associate with cold, winter climates but North Island Weizen is straight the coldest area in Japan: Hokkaido. It’s a 5% hefeweizen brewed with a special local wheat only found in Hokkaido, the haruyutaka strain. Like other North Island Beers, it’s advised not to serve this cold, but rather served chilled at about 8c, though we didn’t have a thermometer close to hand as we’re anarchists. Weizens, to this day, still confuse me as to their aroma and taste. North Island Weizen is no exception. Should they be flat or carbonated? Light smelling or heavy on the nose? It poured out a hazy, yellow colour with a nice frothy white head that dissipated fairly quickly into nothingness. The cloudiness was from the unfiltered beer that shimmered and sparkled in the light. North Island Weizen had a light banana front with some hints of clove but lemon and wheat were also noted. There’s a bit more going on than what I’m used to with a weizen. Looking at North Island Weizen, it appeared to be flat as there was hardly any life going on there. And there’s the problem. With all those aromas going on, the body felt flat and somewhat sour to what I was expecting. The banana and wheat flavours were there as were the citrus and cloves along with the dry, sour finish to boot. As North Island Weizen warmed up, the flavours did come through stronger and appear more balanced. Who really has patience after a long day to wait for their beer to warm up, though? North Island Weizen is trying something different, which is to be commended; however, let it warm up after taking it out of the fridge, as it does get much better. North Island Weizen can be bought from the North Island online store here. We’ve also seen it on sale at Craftbeers.jp here. I would rather say, do not wait for this weizen to warm up, but get another weizen instead. 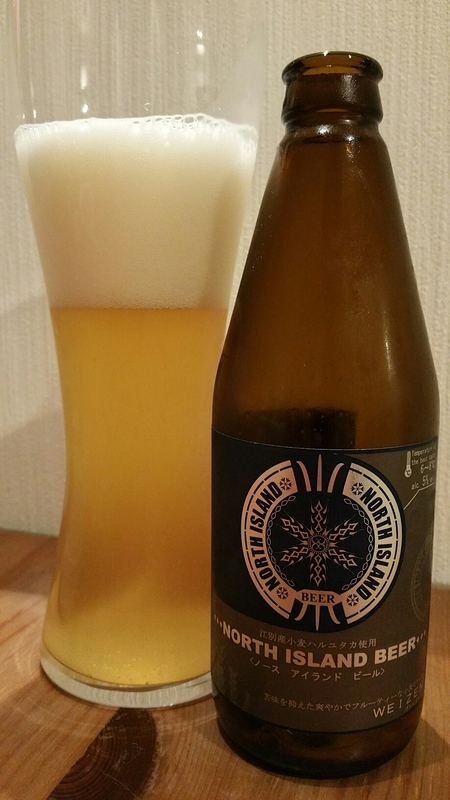 While I think that the North Island Pilsner is among the best in Japan, their weizen is not. If you like weizen, better get it from another brewery.